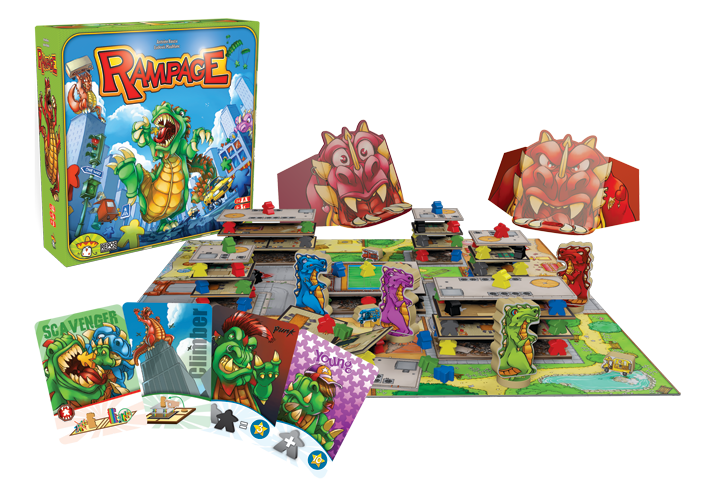 Rampage is a brilliant concept for a dexterity game. It’s like a Godzilla-style movie with tall buildings to destroy and people to eat. The board is divided into several coloured areas called neighbourhoods, and the player with the most Victory Points (VPs) at game end wins. 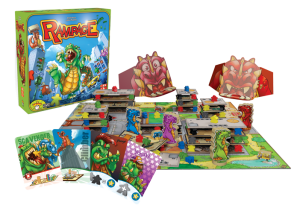 Rampage may sound kind of normal so far for a board game but it is anything but that as the gameplay is actually based on physically destroying the city. Each turn, your monster get 2 actions. To move your monster, you flick the feet disc. 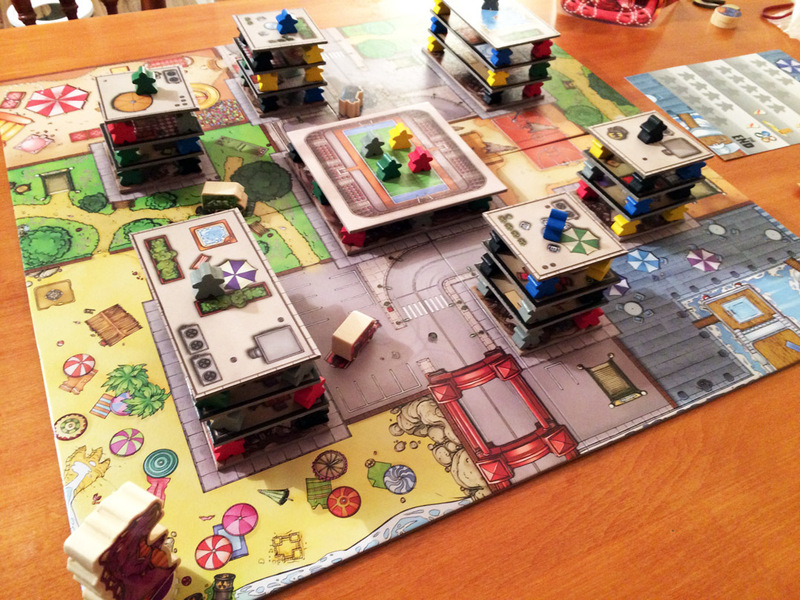 To attack buildings, take your monster piece and drop it onto a building (if you’re near enough). To use your breathe attack, place your chin on your monster piece and blow. To throw a vehicle, place the vehicle piece on top of your monster and flick it. Monsters can attack anything including each other and a successful attack removes one of their teeth. After their actions, your monster eats meeple out in the open in their current neighbourhood but no more than the number of teeth they have.